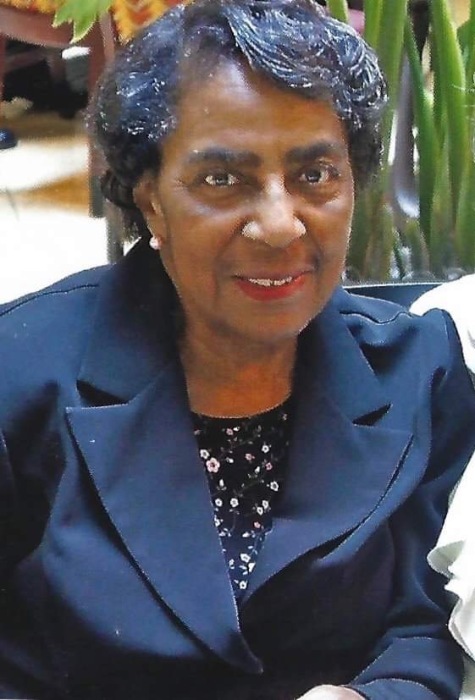 Frances Evone Cameron age 81, went home to be with the Lord on Thursday January 24, 2019 at Pinecrest Gardens, Lillington, NC. She was born in Harnett County, NC on April 23, 1937 to the late Flora Brower & the late Abraham Cameron. She was raised by Flora & James Sherman Stewart. She received her education from Johnsonville School. She was a stay at home mom for many years. She later worked as an in home care aide at the Lee Co. DSS for many years. Frances was preceded in death by her husband, Roosevelt Jack Brunson Sr.; her son, Roosevelt Jack Brunson Jr., and her daughter, Robbin Venus Brumfield. Frances leaves to cherish her memories: one daughter, Jennifer Brunson; one son, David Wright; one daughter in law, Virginia Brunson; nine grandchildren: DeCarlo Brunson, Hosea Brunson, Antonio Brunson, Venise Travis, Louis Brumfield Jr., Willis Brumfield, André Brunson, Roosevelt Jack Brunson III., and Darnell Schwind; fifteen great- grandchildren; eight sisters: Shirley Robinson (Robert) Plainfield, IL., Carol Evans (Robert), Mary Scott, Elizabeth Gray (Willie), Brenda McLain, Elaine Johnson (Jay), and Gail Mays, all of Cameron, NC, and Annie B. King of Fayetteville, NC; four brothers, Charles Cameron Sr. (Zandra), and Lewis Cameron (Linda) both of Cameron, NC, Ronald Cameron (Wanda) of Vass, NC, and Larry Atkins (Valina) and a host of nieces, nephews, and other relatives and friends.